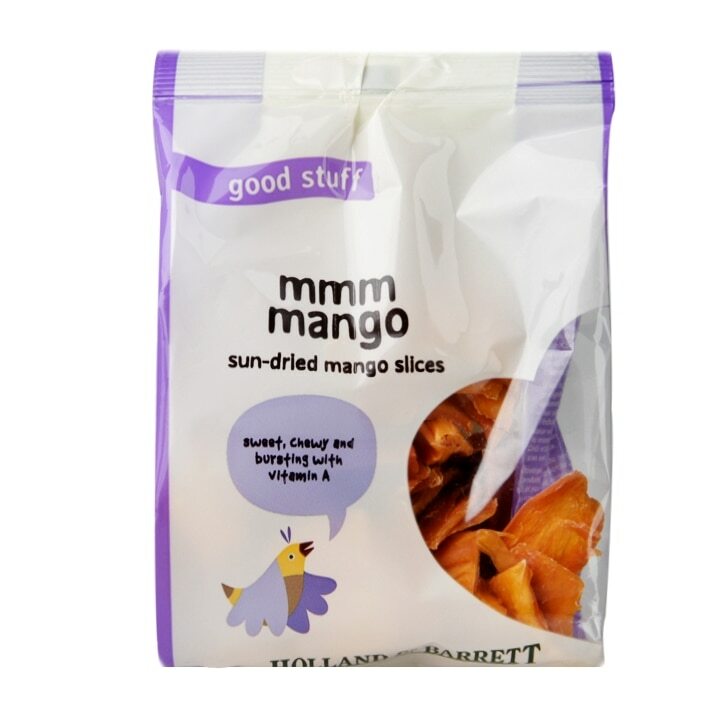 Holland & Barrett Sun Dried Mango is rated 4.5 out of 5 by 36. Rated 3 out of 5 by daaffodil54 from Mango Oh dear, the mango is so dried out it’s impossible to chew. I normally love H&B dried fruit but this is a no no. Rated 5 out of 5 by Anonymous from goodi I bought this 2 weeks ago, I'mso happy with. this and delivery was.so fast . Rated 5 out of 5 by Lindyloohoo from Mango heaven Tasty and sweet and a great alternative sweet fix too chocolate. Definitely will be buying again.